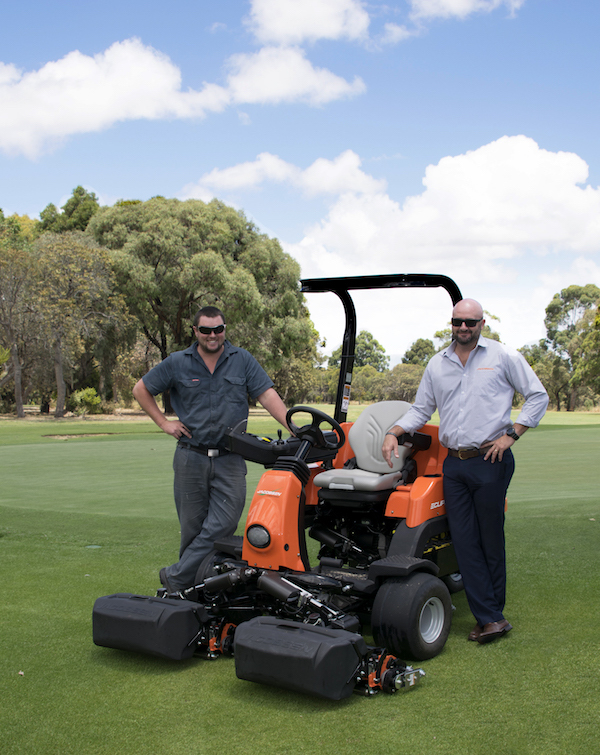 Hartfield Golf Club, located in Perth, Western Australia, has seen drastic improvements on the course after purchasing a range of machinery from Jacobsen. Delivery was made by local Jacobsen dealer McIntosh & Son. Nick Kinley is the course superintendent at Hartfield Golf Club having joined three and a half years ago from Mount Lawley Golf Club in Perth. 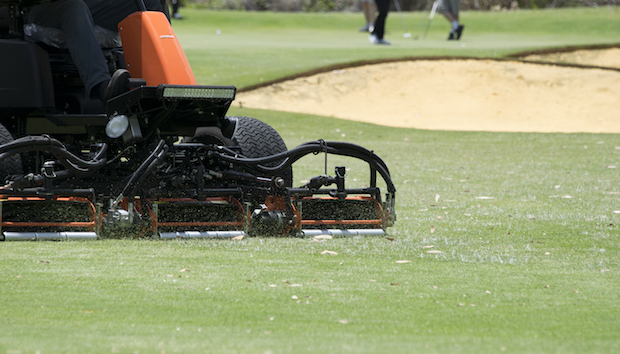 Nick recently made the decision to purchase new machinery to improve the playing condition of the golf course. The machinery purchased includes two Eclipse 322 ride-on greens mowers, two LF570 light fairway mowers, a Truckster XD, a Truckster HX, a Cushman Hauler utility vehicle and an Eclipse 2 walking greens mower. “One of the reasons behind the purchase of the fairway mowers in particular, was the positive feedback from the team after previously using an LF570 on the course. The quality of cut is second to none, and it is a very comfortable and easy-to-use machine, which is also very important. In my opinion, nothing is comparable to the Jacobsen machines, the staff all felt we would have been mad not to go with Jacobsen. “We also had the Eclipse 322 on demo for a week and we received a comment from one of our members who thought we had double cut and rolled the greens, but the only change we had made was using the Eclipse 322! That was quite amusing, but also eye-opening that using this machine had obviously made a huge difference.